There are lots of shower features you can choose from, but Max Glass specialises in the most elegant option available – frameless glass showers. 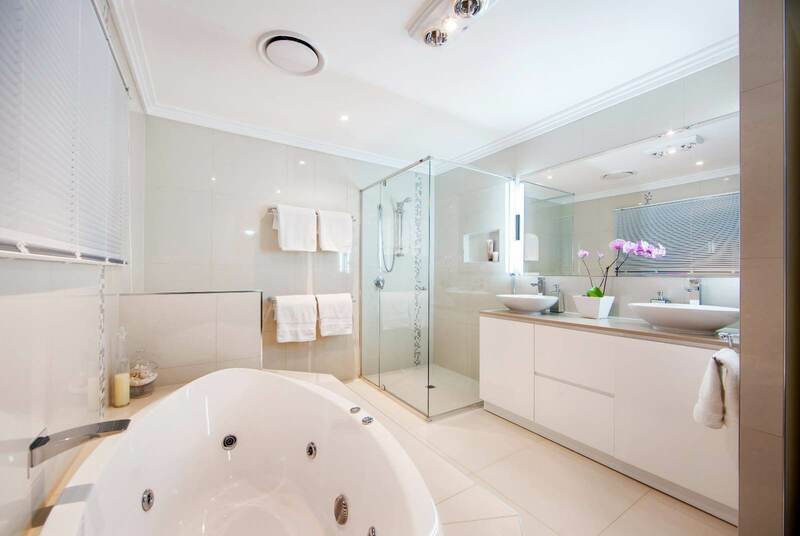 The design adds luxury to any bathroom by creating a cleaner, less intrusive appearance. Your glass shower will fit perfectly with your bathroom’s overall design plus the room will be brighter and more comfortable. 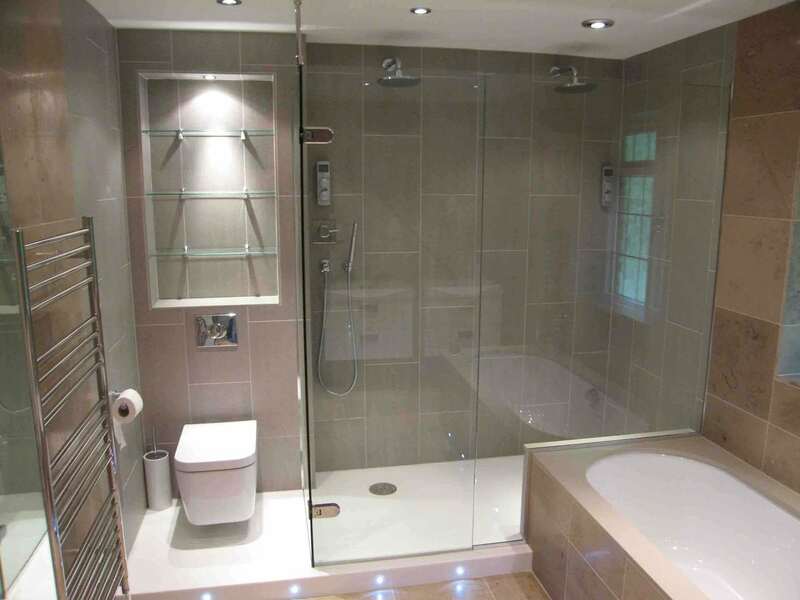 Despite their sophistication, glass showers are not as expensive as you might think, particularly when you come to us. Call Max Glass Auckland today to find out more. 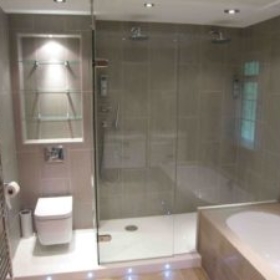 Our team has installed glass showers in all types of home as well as in other locations. We handle the whole process plus we have an unwavering commitment to quality. This is how we have managed to build the reputation we currently have in the industry – by consistently delivering on our customer’s expectations. When upgrading your bathroom there are so many choice and decisions to be made , from vanities to shelving and storage to mirrors and lets not forget the shower. 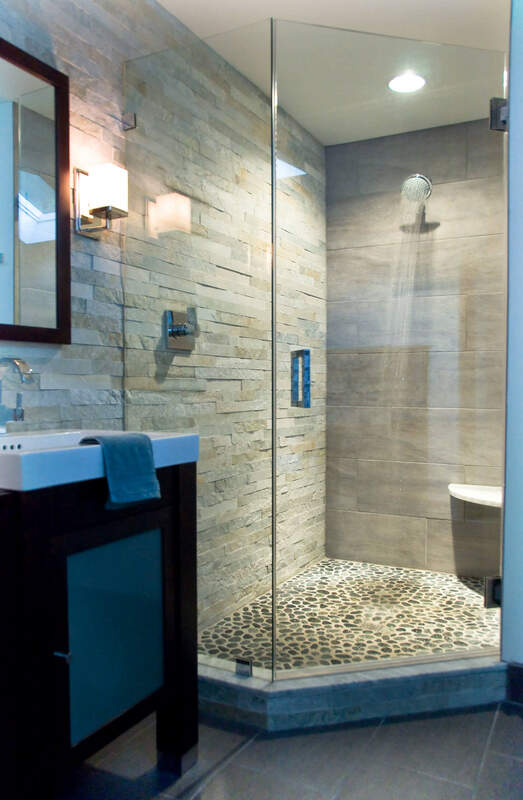 Shower doors are something that may initially not seem important but depending on the design of the overall bathroom , it can make a big difference. Frameless glass doors are a beautiful upgrade to add to any bathroom. They have surged in popularity as homeowners opt for a more clean and minimalist sense of style for bathrooms. 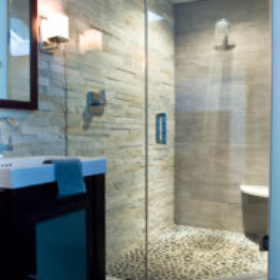 Frameless glass showers do away with the bulky traditional frames that can be an eyesore. Doing away with the framed doors give your bathroom shower a less cluttered, and more clean look. They give the bathroom a luxury spa like feel that can’t be matched with any other material. Advances in technology have made it so that the glass almost seems to float around your shower. 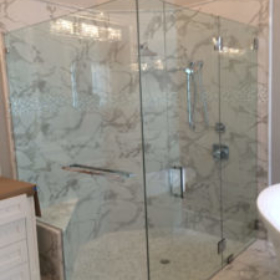 Frameless glass showers are beautiful but they have to be installed properly by a professional in order to prevent leaks or broken and chipped glass in the shower and bathroom floors. 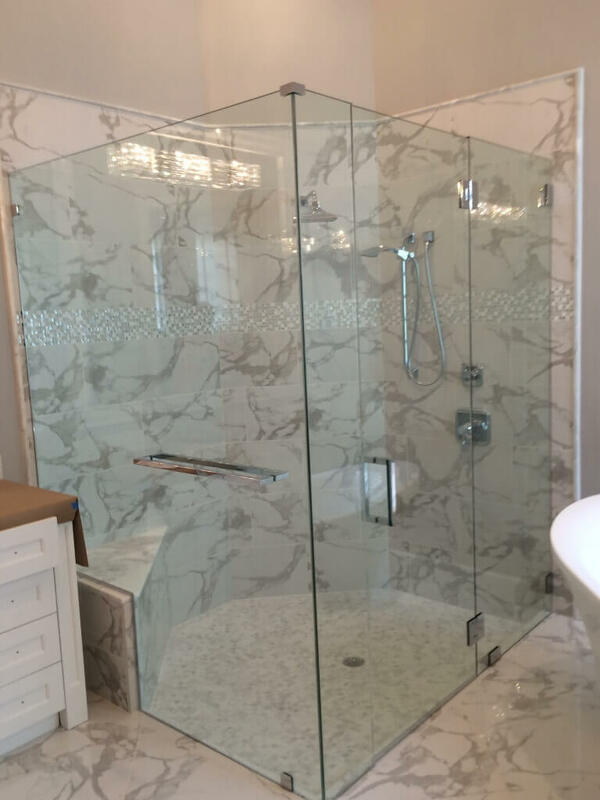 Max Glass creates frameless glass shower doors to your exact specifications and needs. So that there no worry about leaks or safety. We make sure that the hardware, thickness and size of the glass all function in a way that not only keeps the water in your shower but also look beautiful in design. We will walk you through all of the design options to ensure that you get the best glass shower you;ve ever imagines and be the envy of all of your friends. We will discuss the thickness of glass that will be suitable for your space. We will come in and measure to see the required hardware needed to make sure you have that floating effect from your frameless glass shower. We will show you the different finishes and hardware available and also the different kinds of glass available as well. Clear glass is the most common glass used because it gives that open feel and minimal lines for a spa like shower. However etched glass gives a bit more privacy and can have a pattern , image or a custom design added for a one of a kind look that can’t be beat. Trust our expert professionals to give you the shower that you see in magazines and movies, so beautiful and enviable. Know that when we are done you will have a spa that is second to none. 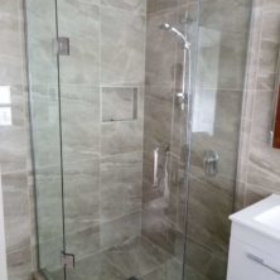 Rest assured that the work will be done by experts in glass and design to leave you with a frameless glass shower that will last all the years you are in your home. We are a local business that knows what it takes to grow. Amazing customer satisfaction is one of our top priorities. We know that you expect amazing quality work and friendly service. We aim to deliver the best services so that you recommend us to all of your friends and business contacts. We pride ourselves on being the best in glass in Auckland. Professionals– We know how to handle the installation of your frameless glass shower. We give you the assurance that your shower is in good hands from start to finish. Incredible reputation – We take customer satisfaction as a priority only second to safety. Our customers recommend us over over and over again. Prices– We have the incredible quality and craftsmanship at a price that can’t be beat. We aim to give you styles and options that fit any budget. Safety– Safety is our number one priority on the job and for the life of your frameless glass shower. Your shower needs to able to last and stay beautiful, and Max Glass understands this expectation. 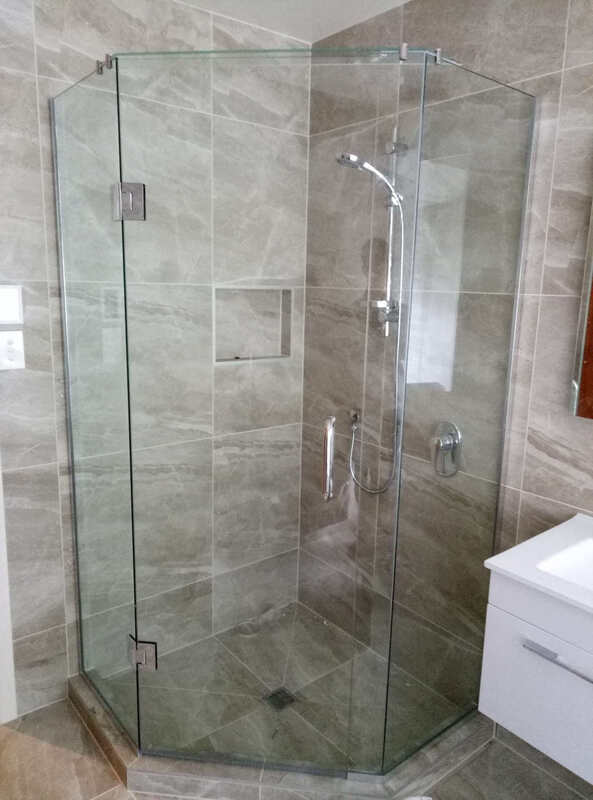 If you want a quote from the best company in New Zealand, Max Glass can come out to your space and give you a quote for your own custom frameless shower door. Let us show you why we are number one in customer satisfaction and safety. Let us show you the wide variety of options we have to give your shower an amazing look and feel as well as be functional for your space .No matter what color or finish you choose for your shower know that Max Glass will help you achieve you design dreams. If you want this exceptional level of service, you should call us. We can answer any questions you have as well as arranging a free, no-obligation quote – call today on 02102687818.